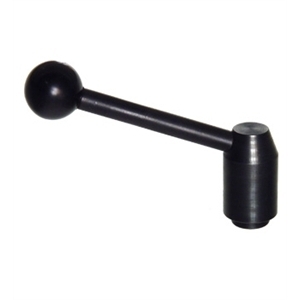 Request a quote for Heavy Duty Adjustable Handle with Steel Tapped Insert today. JBF National manufactures this adjustable handle (also known as a clamping lever) using the highest quality steel and black oxide coating to ensure lasting durability. The black gloss phenolic ball knob handle end, ensures handle rotation ease of use and added comfort to the operator’s palm and fingers. 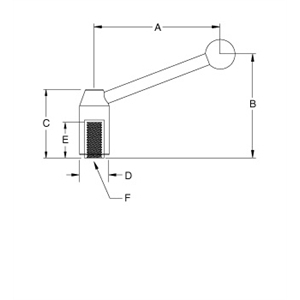 This adjustable handle maintains a 360 degree rotation of adjustment and is RoHs compliant. Various thread sizes available. Please see component diagram below.